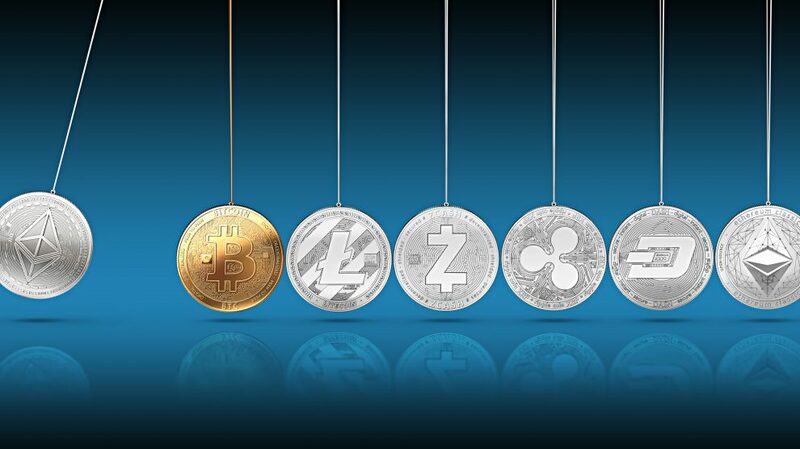 The term ‘Cryptocurrency’ in fact stands as an umbrella term for the two types of currency that can be bought, traded, exchanged and sold. There are hundreds of coins and tokens coming into fruition as the cryptomarkets urge forward in the turbulent times of hacking and growing regulations. These two terms stand to represent all of the cryptocurrencies in circulation however they possess subtle-ish differences that stand them apart and can play benefits for different types of users – all whilst still remaining collectively known as cryptocurrencies. In order to have a chance of navigating the heavily saturated cryptocurrency sphere, and certainly before throwing yourself into any sort of investment or trading, it is paramount that a basic understanding of the currencies themselves is not only established but also drilled into memory. More to the point, it might be a good idea to at least understand the consistency of the digital things you might end up crypto-handling and the two forms of currency they can be delivered in. So here we go. The Coin, which is embodied by the likes of Bitcoin, Litecoin, Zcash, Dash and Ripple (just to name a few) come in the form of altcoins and all possess their own blockchains and operate on independent platforms. The fundamental premise behind a coin is that it possesses its own value, much like traditional currencies outside of the digital spectrum. It is, by its own right in the digital sense, its own currency and there are thousands of them. For instance, if you take a look at Bitcoin in its entirety, it can be broken down as a distributed ledger with it’s own open-source blockchain, that serves best as a decentralised, digital currency. In essence it becomes as real as a tangible coin – but in the cryptic sense. To add to this, a majority of altcoins will use Bitcoins open-source blockchain blueprint to create their own with amendments to the underlying code. On the other hand a Token, such as OmiseGo (OMG), Salt, Golem and probably a number of other seemingly unrelated words that they are named after, are actually issued by the companies themselves and serve more like a stock or a hold and exist as a secondary asset in the original company itself. Though it seems straightforward enough, in order to understand the premise of a token it is necessary to also have a grip of the concept of an Initial Coin Offering (ICO) the two of which come hand in hand within the process. An Initial Coin Offering is essentially the announcement of a new currency’s creation, and a company’s bid to raise funds for a project by attracting investors and providing them with something of value in return. A Token is given to investors in return for raising funds – essentially a method of crowdfunding – for the ICO which can then be maintained, or alternatively, it is possible to access a currency exchange and then sell the tokens for coins and other currencies. Alongside ICO’s, another way that Tokens can be brought into existence is through the mining of a cryptocurrency blockchain. This process, sometimes referred to as the solving of a difficult maths puzzle, requires a group of miners to add, secure and verify transactions that are within a block of the blockchain and ensuring that everything correlates. For each block that is completed by a miner, as a result of proof of work, an amount of tokens are generated as ‘payment’. So, essentially the miners themselves are encompassing the creation of more tokens into the digital realm. According to the Ethereum website it is also very possible to create your own token in a series of technically heavy steps. The key difference between a Coin and is a Token is that the latter does not have its own blockchain and thus requires the access of another platform in order to function. In this light, a token tends to sit on top of an already established blockchain from Ethereum, who have their own platform and have built their own blockchain that is unrelated to Bitcoin. Ethereum tokens are made through a smart contract system, and essentially generated into existence and, additionally, value. So, to put it, in other words, Tokens are developed on top of an ICO and work on top of a blockchain, whilst coins have their own blockchain. An example of how a Token works can be put into a literal, and quite hilarious example in the form of EOS – just one of the many tokens that sit on the Ethereum blockchain. The much criticised token advertising itself as ‘the most powerful infrastructure for decentralised applications,’ without actually providing any real, tangible worth or promise for the future, gives out tokens in return for investors providing the company with money to develop the platform which – to date – still doesn’t seem to really explain what it’s going to do. Regardless of whether they are deemed coins or tokens however, and though they are important for a variety of reasons in the cryptosphere, it is also worth noting the traditional stock market approach – and the governmental – image of both entities. As governments around the world attempt to fight the phenomenon of cryptocurrencies, they also argue that they come under the term of an ‘asset’ rather than any form of money, reported Bloomberg. In an attempt to curtail and regulate the digital world, this would mean that the currencies are liable for capital gains tax. Though this idea has been floated around, Cryptocurrencies also received the green light from FSB Chairman Mark Carney who stated that cryptocurrencies are so far not a threat to the mainstream banking system – which means the only important differences, for now, return back to the definition of Coins and Tokens. With shrill sounds from Reddit users proclaiming lines such as ‘yea coin are so 2014 token the new hype,’ aside from wondering where the punctuation went, one might also wonder which is in fact better. There’s no easy answer here. Harking back to the knowledge that the industry is overwhelmed with coins and tokens alike, what is paramount is research into what you are investing in, if it’s an ICO – what the company aims to do, and if its a coin – what (if even anything) the coin has already achieved. Either way, if there is anything that you can take from cryptocurrency 101 at least, is regardless of whether you invest for the name, the idea, the overwhelming hype that convinces you of the ‘now or never’ or a genuine belief that this is a good concept, at least do not to invest any more into the markets than you are willing to lose.